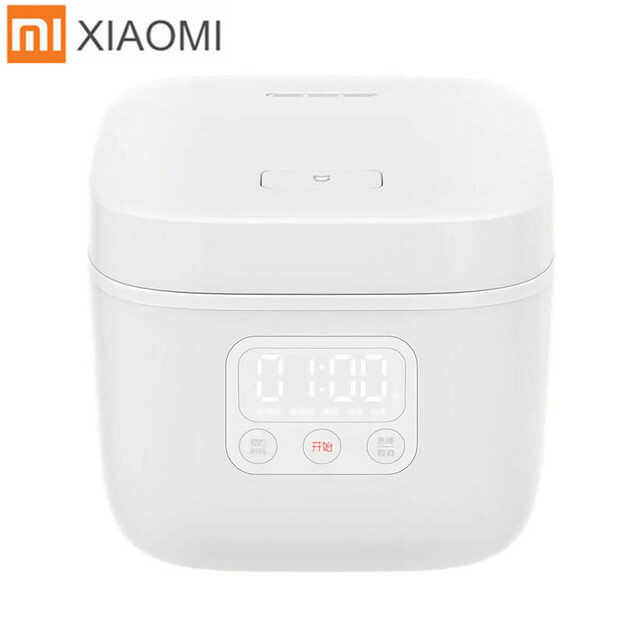 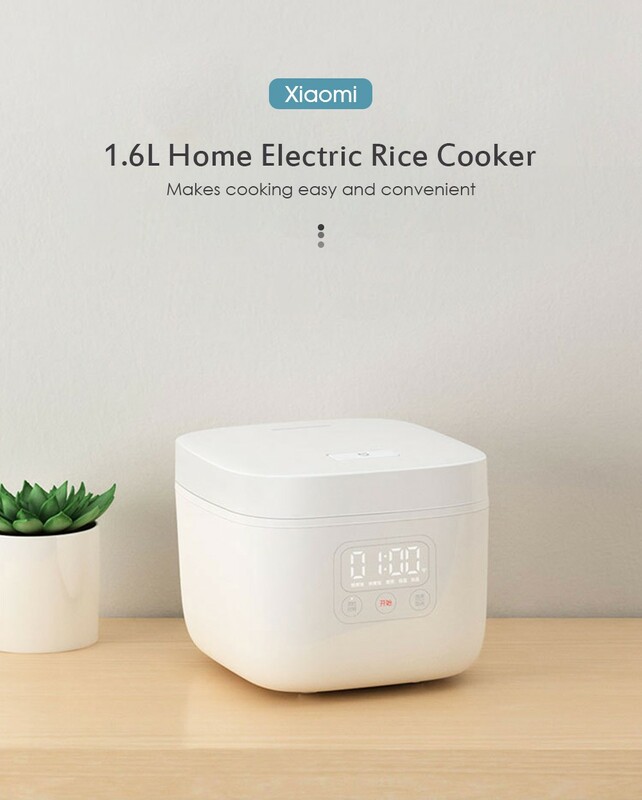 This Xiaomi Electric Rice Cooker is an intelligent cooking device. 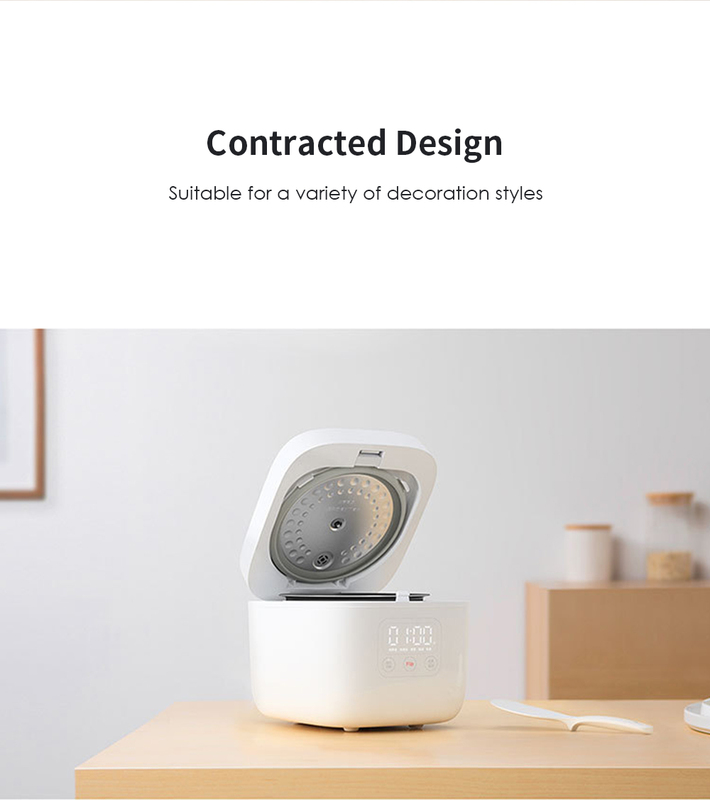 It can cook up to six bowls of rice or porridge at a time, meeting the dietary needs of a wide range of people. 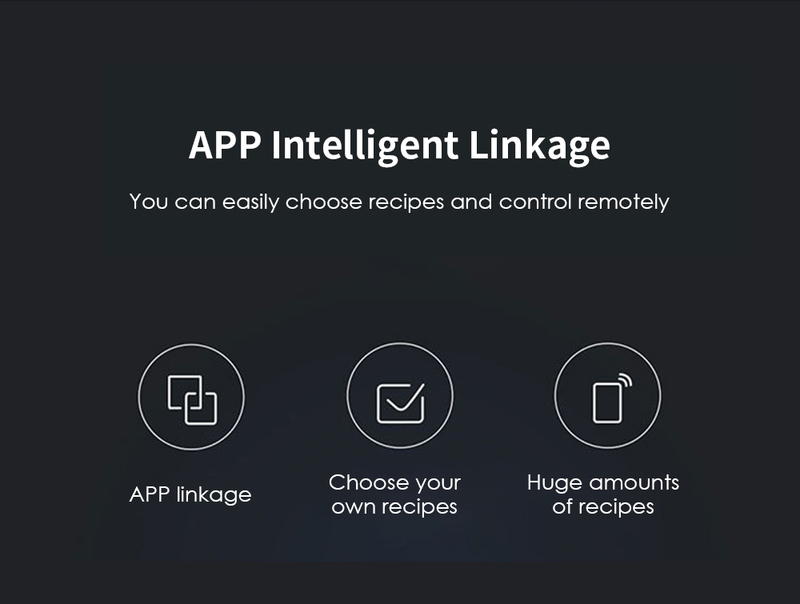 APP intelligent linkage design allows you to use the APP to select recipes easily. 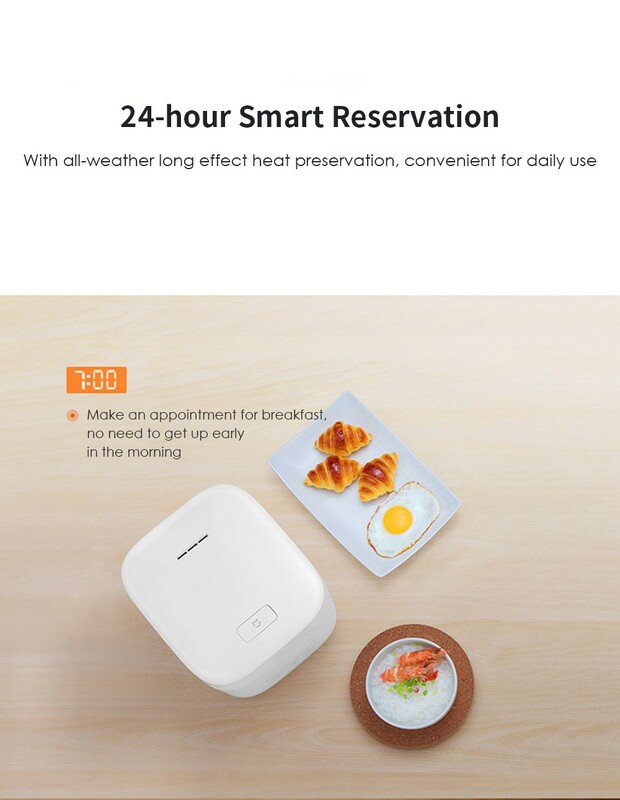 With timing function, it is practical for daily use. 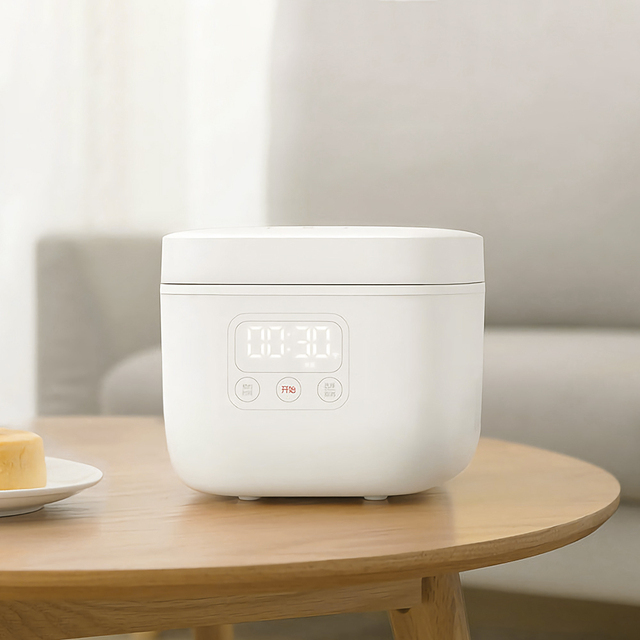 If you are looking for a simple, beautiful and practical electric rice cooker, this is a good choice! 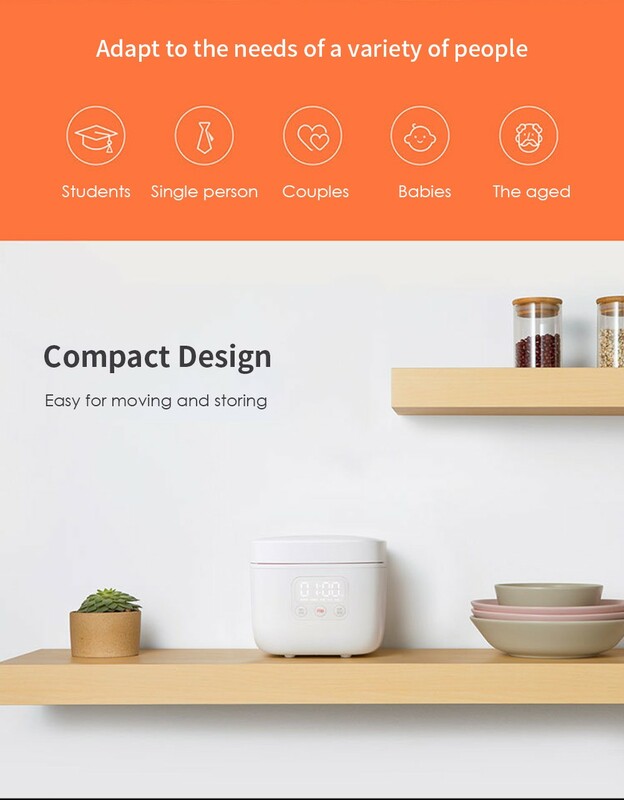 – Compact design is great for home use. – Automatic heat preservation system is practical. 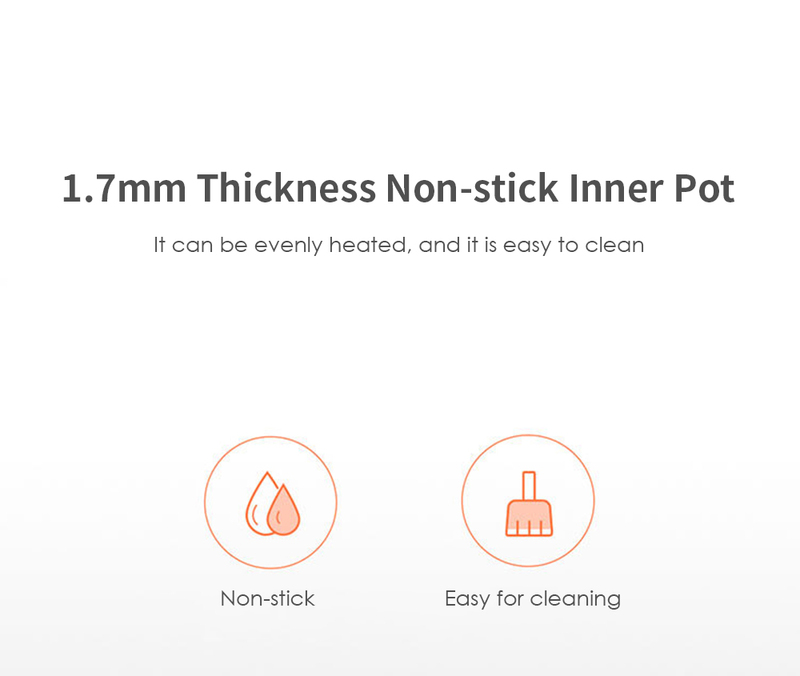 – Non-stick design makes it easy to clean. 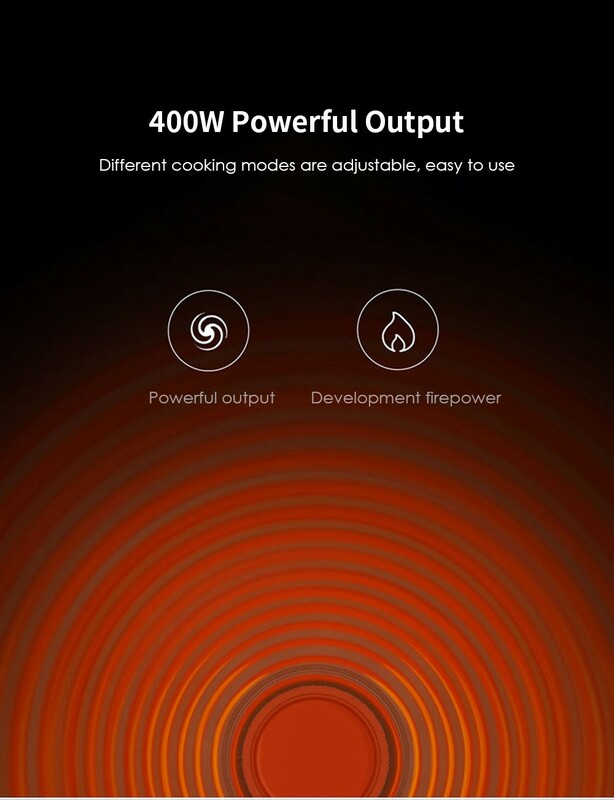 – APP control is convenient for using. 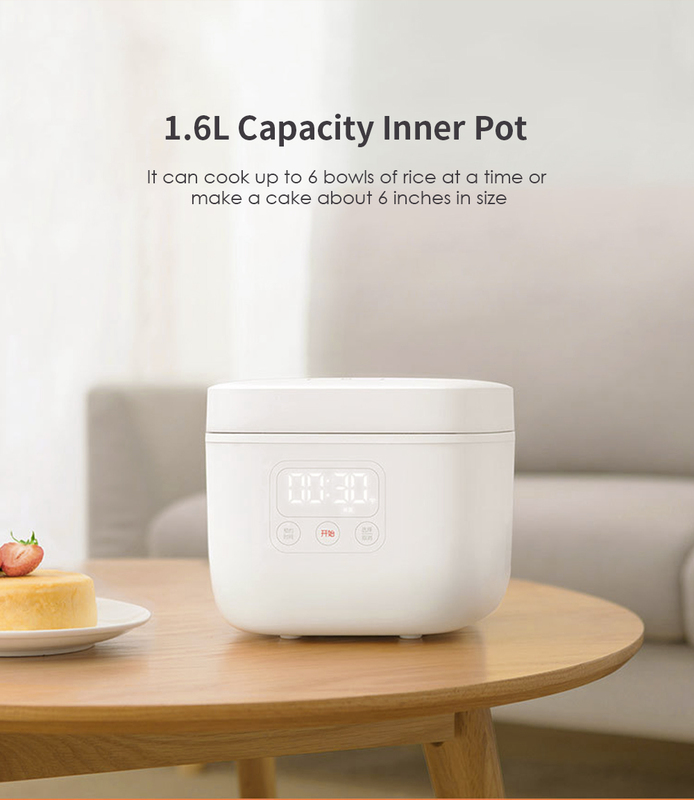 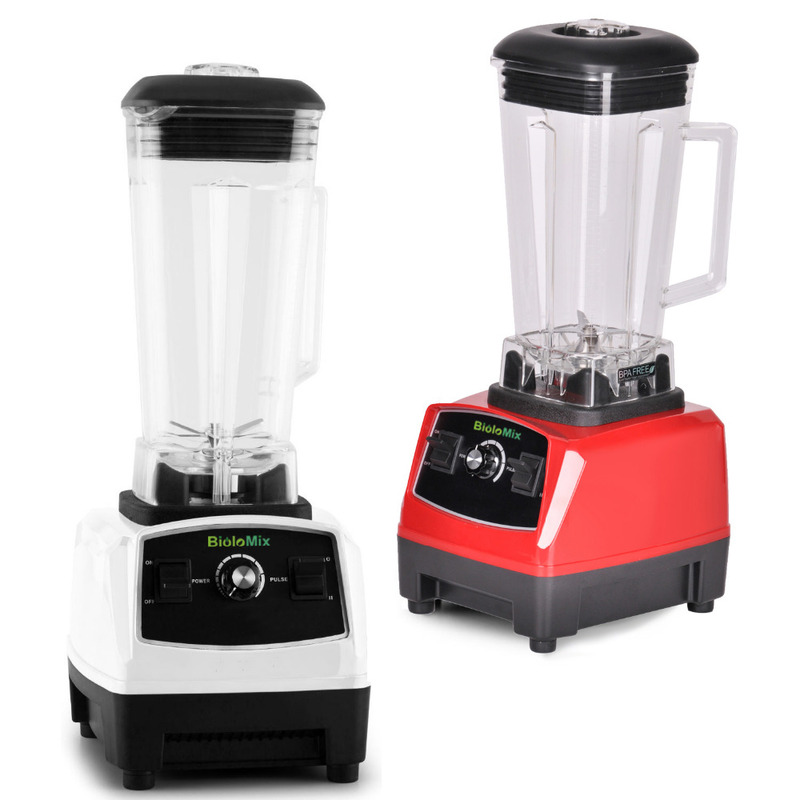 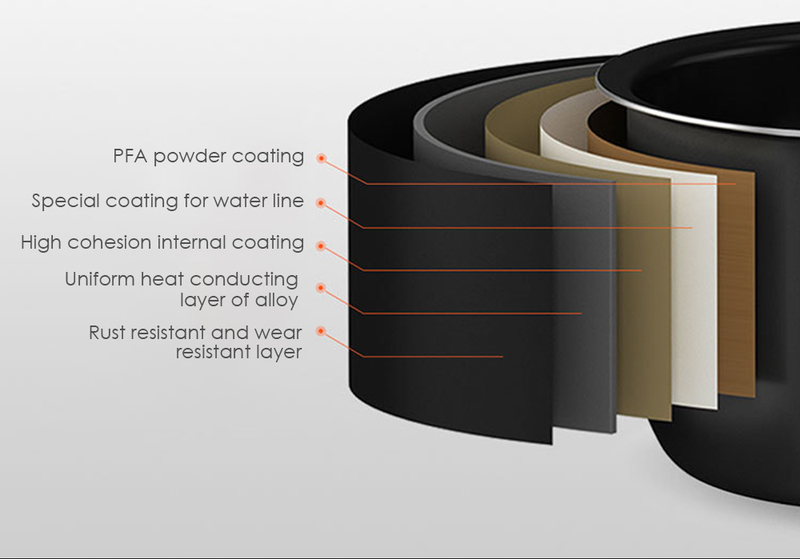 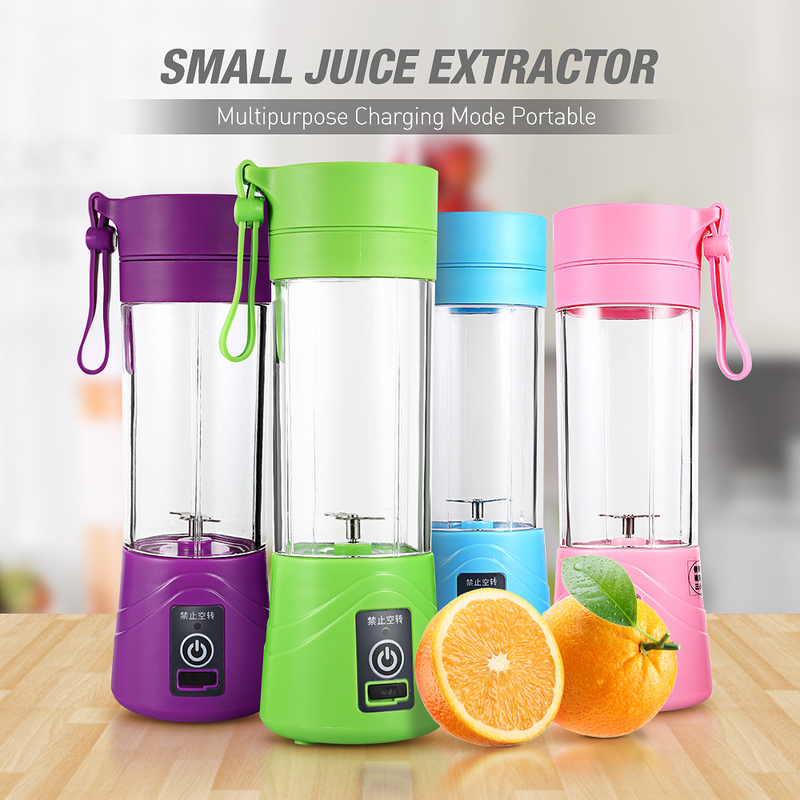 – Inner pot with 1.6L capacity can meet the needs of daily meals. 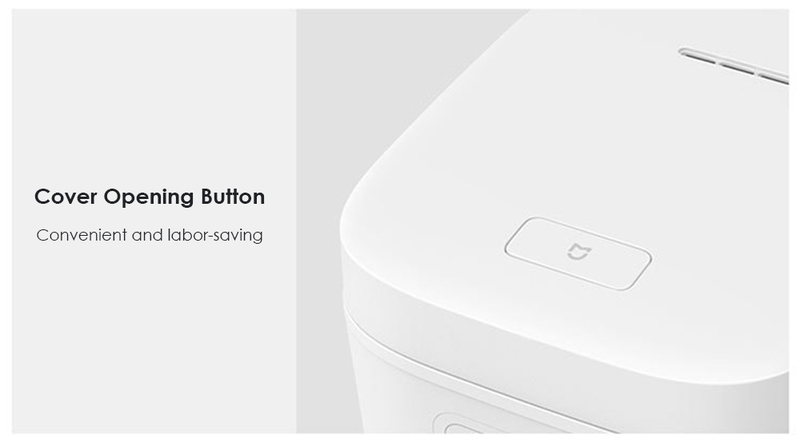 – With cover opening button, you can open the cover easily. 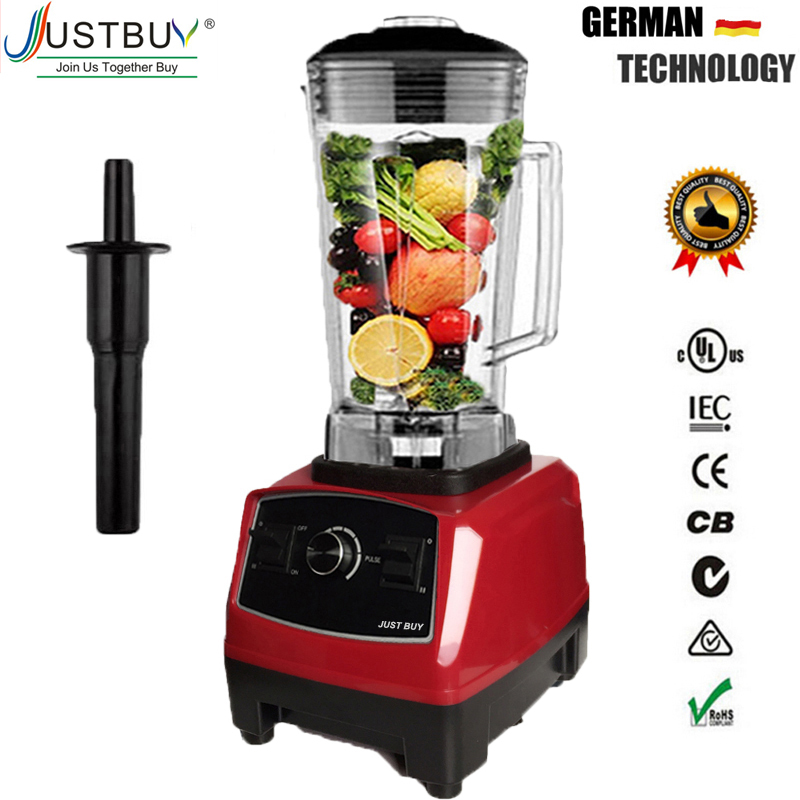 – LED screen and buttons design are convenient for operating. – Water droplets on the bottom of the inner pot do not affect the normal use of the rice cooker, but it’s better to wipe them before using. 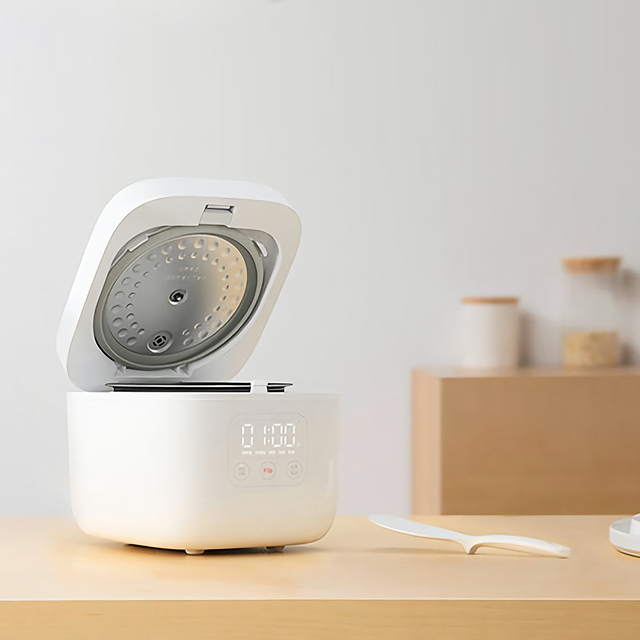 – The inner pot can be cleaned and sanitized using a dishwasher. 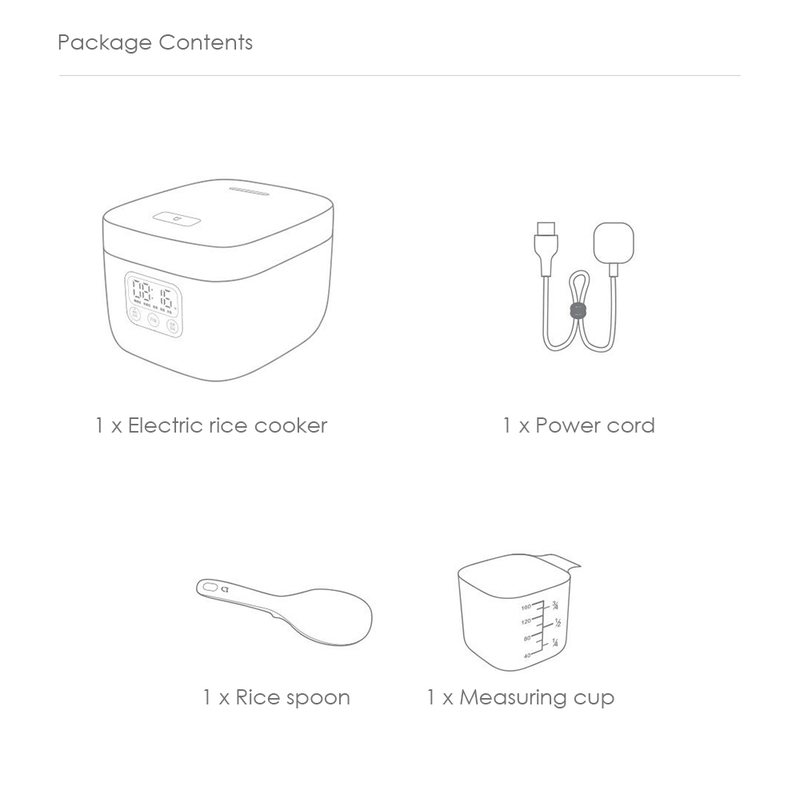 – One cup of rice can make two bowls of rice (diameter: 12cm). 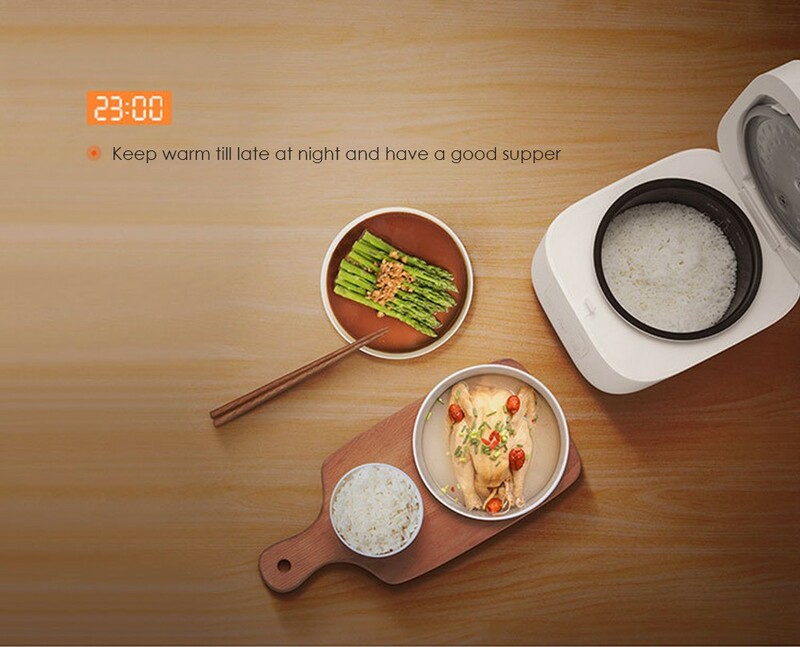 – Do not place the product in the unbalanced, moist places or close to a source of fire or heat. 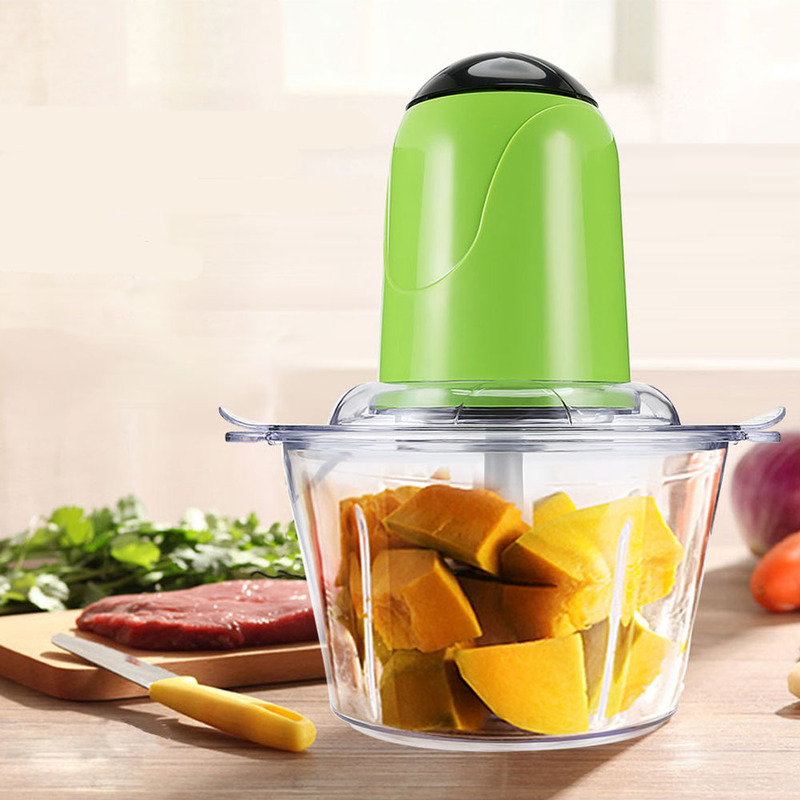 – Please do not use steel wire ball and other hard items to clean or scrub the inner pot. 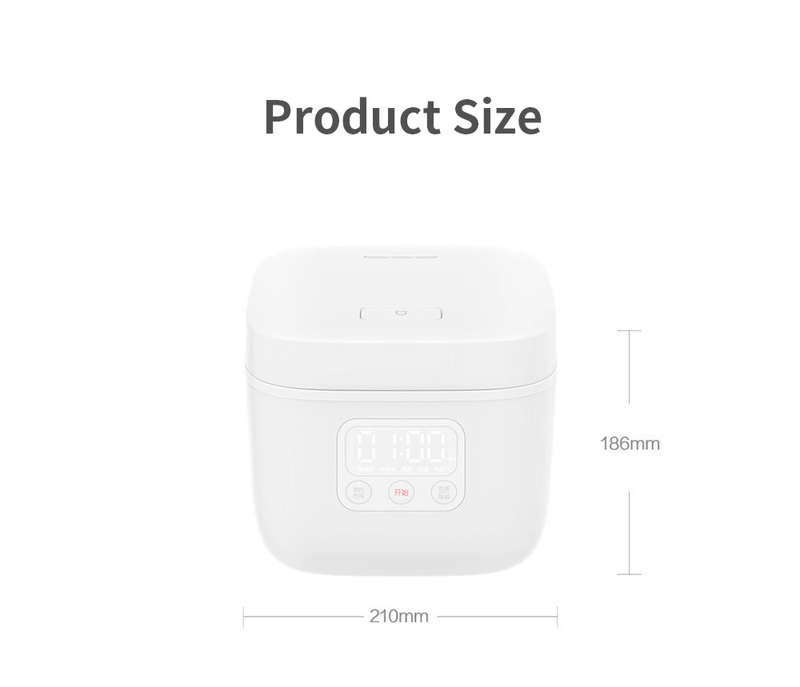 – Do not over pinch or bend the power cord. 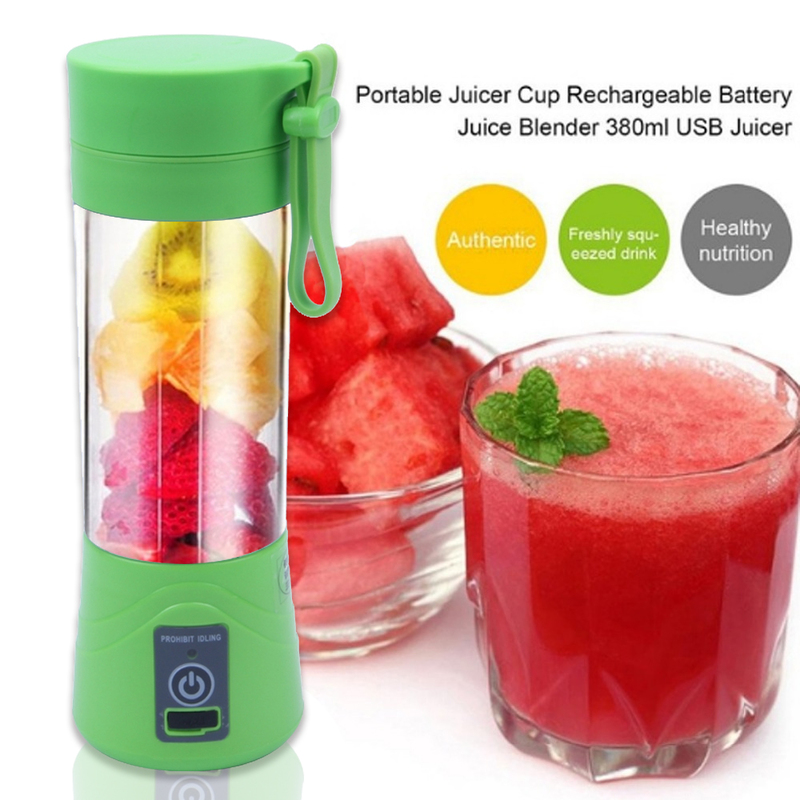 – Please do not use wet hands to insert or pull out the power plug. 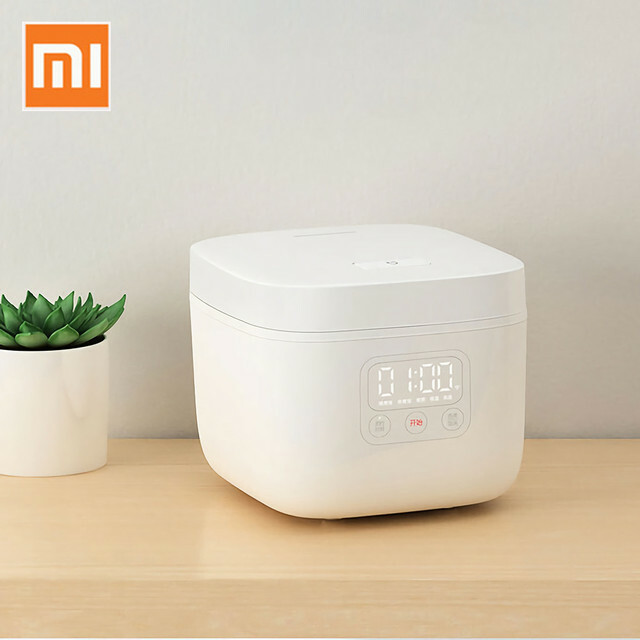 – Please keep it away from walls and furniture when using electric rice cooker. 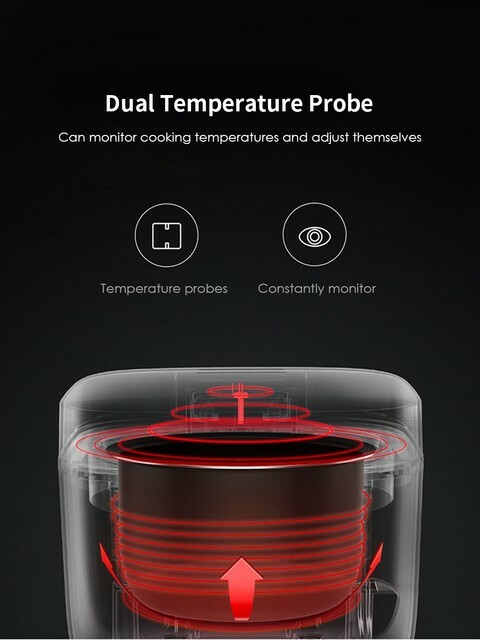 – Do not place the inner pot on any other heat source. 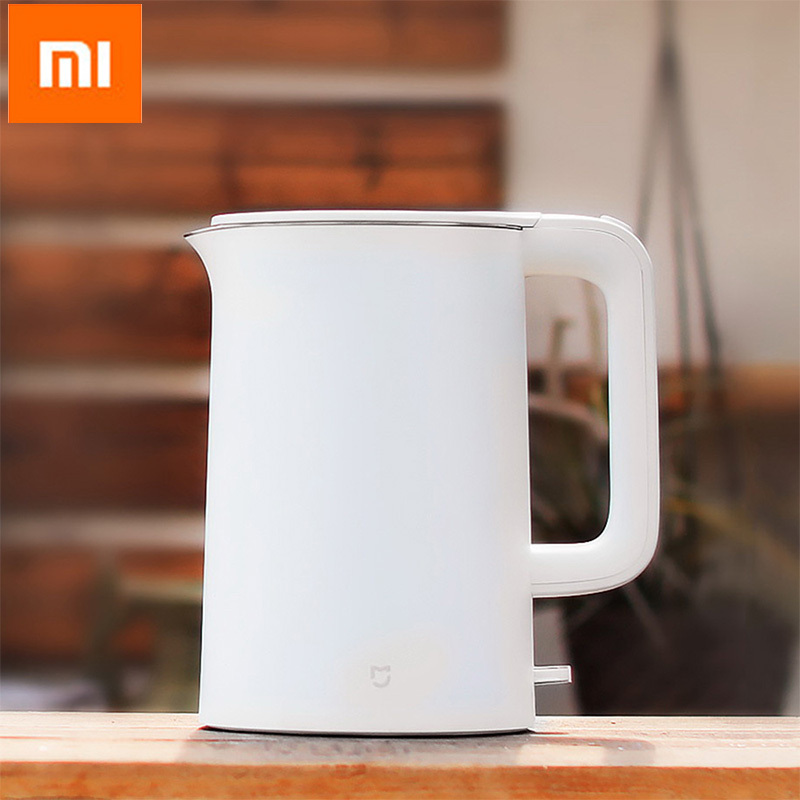 – Do not touch the inner pot directly with your hands during using or just after using. 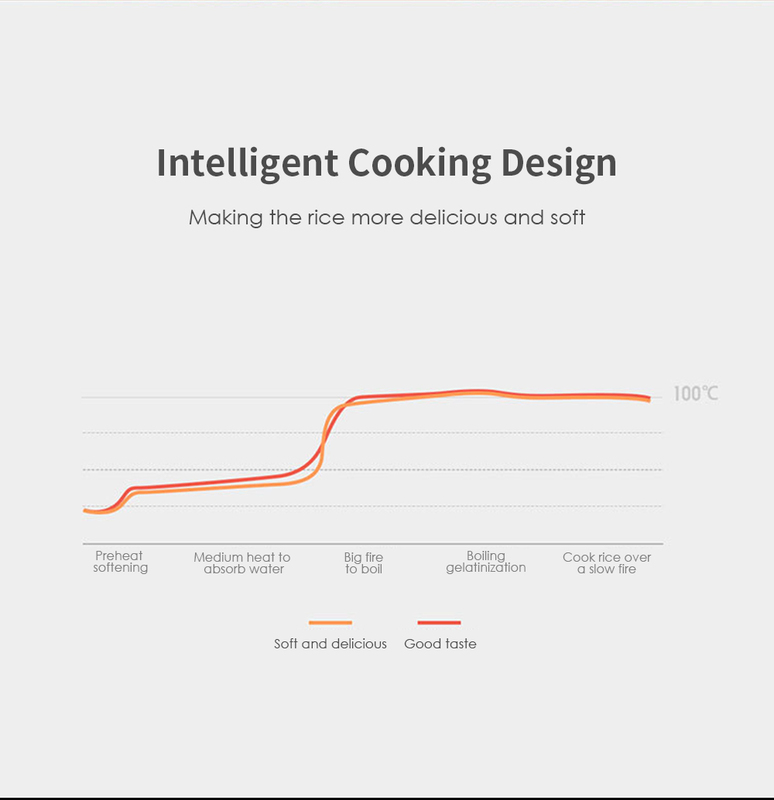 – If it is kept warm for more than 24 hours, the rice will smell bad. 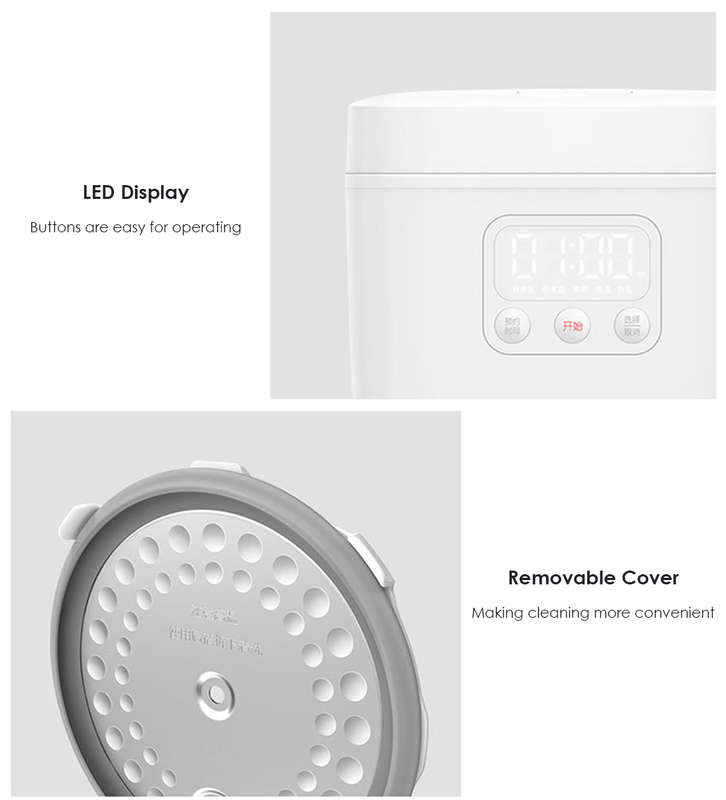 – When in use, please do not let anything cover the cover.